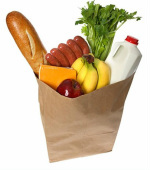 Qualifying households in Alameda can receive 3 day supply of groceries once a month from the Monthly Food Program. Monday, Wednesday, Friday: 1-4 p.m.
2nd, 3rd, 4th Saturday 11-1 p.m.
650 West Ranger in Alameda Point. can go once a week to receive help with food. This particular government program allows recipients of the Monthly Food Pantry Program to get a food package from USDA as well. The Berkeley Food Pantry distributes emergency food to Berkeley and Albany families in need. Mondays, Wednesdays and Fridays 2-4 p.m.
Centro de Servicios provides immigrants and low-income people with basic needs, such as housing, food and clothing. 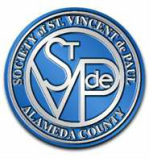 Monday -Friday: 12– 5 p.m.
Fridays 11 a.m. -1:00 p.m.
Feed My Sheep Food Pantry/Mini Mart gives out nutritional bag lunches, food boxes and bags to people in need, (in the East Bay and nearby areas). Feed My Sheep Food Pantry/Mini Mart also provides meals on some holidays, and even holds barbeques periodically. The Free Farm Stand provides fresh produce to people in need. 23rd Street & Treat Ave.
"Seniors helping Seniors" prepare and pass out Mercy Brown Bags. The bags are filled with groceries and handed out twice a month. Seniors who are 60 plus, and have a set income, are eligible for the Mercy Brown Bag program. Is there is an elder that you think might be eligible for the Mercy Brown Bag program? Do you want to donate to the program or volunteer? Merritt S.O.U.L., with the assistance of Alameda County Community Food Bank, distributes free food twice a month. Merritt students and community members are welcome to pick up food. Fruitvale District residents are encouraged to come to the food bank as well. Volunteers are needed between the hours of 10 a.m. and 4 p.m..
Oakland Food Pantry helps fight hunger by providing healthy food for their clients. Clients choose food products/produce they would like, for pickup in the afternoon. Grocery boxes are given to parishioners and neighborhood people, with low income or in need of food. The Bear Pantry provides food for low income student parents at U.C. Berkeley with dependent children. U.C. Berkeley Food Pantry is for U.C. Berkeley undergrad and grad students in need of food.